JUSIX was a smal Linux distribution bootable from CD. JUSIX supports many video and audio formats including the most popular mp3, vob, DivX, DVD, mpeg, mpg, avi. You can connect your old PC to TV, amplifier and create a home media center to watch movies or listen to music. Rate this project The FreeBSD team has announced the project's first release in its 12 series. FreeBSD 12.0 features a number of software updates, including OpenSSL 1.1.1, OpenSSH 7.8, and the Clang compiler has been updated to version 6.0.1. TRIM support has been improved for the UFS filesystem and the bhyve virtualization software can now be run inside a jail. "The FreeBSD Release Engineering Team is pleased to announce the availability of FreeBSD 12.0-RELEASE. This is the first release of the stable/12 branch. Some of the highlights: OpenSSL has been updated to version 1.1.1a (LTS). Unbound has been updated to version 1.8.1, and DANE-TA has been enabled by default. OpenSSH has been updated to version 7.8p1. Additional capsicum(4) support has been added to sshd(8). Clang, LLVM, LLD, LLDB, compiler-rt and libc++ has been updated to version 6.0.1. The vt(4) Terminus BSD Console font has been update to version 4.46. The bsdinstall(8) utility now supports UEFI+GELI as an installation option. The VIMAGE kernel configuration option has been enabled by default." Further details can be found in the project's release announcement and in the release notes. Download: FreeBSD-12.0-RELEASE-amd64-disc1.iso (851MB, SHA512, signature), FreeBSD-12.0-RELEASE-i386-disc1.iso (722MB, SHA512, signature). Also available from OSDisc. Glen Barber has announced the availability of the third release candidate for FreeBSD 12.0. Unless there are any unexpected showstopper bugs, this should be the last release candidate before the final release on 11th of December: "The third RC build of the 12.0-RELEASE release cycle is now available. A summary of changes since 12.0-RC2 includes: fix for vulnerabilities in NFS server code (FreeBSD-SA-18:13.nfs); the if_ixlv.ko kernel module had been added as a link to if_iavf.ko for backwards compatibility when upgrading from earlier releases; various memory leak fixes; various miscellaneous fixes. A list of changes since 11.2-RELEASE is available in the releng/12.0 release notes. Please note, the release notes page is not yet complete, and will be updated on an ongoing basis as the 12.0-RELEASE cycle progresses. Virtual Machine disk images are available for the amd64 and i386 architectures. The partition layout is: 16 kB - freebsd-boot GPT partition type (bootfs GPT label); 1 GB - freebsd-swap GPT partition type (swapfs GPT label); 20 GB - freebsd-ufs GPT partition type (rootfs GPT label)." Read the rest of the release announcement for further information. Download: FreeBSD-12.0-RC3-amd64-dvd1.iso (3,703MB, SHA512), FreeBSD-12.0-RC3-i386-dvd1.iso (3,191MB, SHA512). Glen Barber has announced the availability of the second release candidate for FreeBSD 12.0, the project's upcoming major version currently scheduled for final release on 11 December: "The second RC build of the 12.0-RELEASE release cycle is now available. Please note that the 12.0-RC2 armv7 RPI2 build failed, and the cause is being investigated. A summary of changes since 12.0-RC1 includes: kernel debugging support in various kernel configurations has been disabled - this was missed when branching releng/12.0 from stable/12; allow set ether/vlan PCP operation from the VNET jails; align IA32_ARCH_CAP MSR definitions and use with SDM rev. 068; several IFLIB-related fixes; regressions when using 'pciconf -l' were fixed; handle kernel superpage mappings in pmap_remove_l2(); fix /etc/ntp permissions; OpenSSL has been updated to version 1.1.1a; various fixes to libbe(3) and bectl(8); a src.conf knob to build userland with retpoline was added (off by default); various other miscellaneous fixes." Here is the full release announcement as published on the freebsd-stable mailing list. The (currently still incomplete) release notes are also available. Download links: FreeBSD-12.0-RC2-amd64-dvd1.iso (3,705MB, SHA512), FreeBSD-12.0-RC2-i386-dvd1.iso (3,188MB, SHA512). The first release candidate for the upcoming FreeBSD 12.0 is now ready for download and testing: "The first RC build of the 12.0-RELEASE release cycle is now available. A summary of changes since 12.0-BET4 includes: NFSv4 ACL inheritance flags are no longer set on non-directories; new keywords, enable, disable and delete, were added to rc(8); fix freebsd32 mknod(at); fix some problems that manifest when NUMA domain 0 is empty; the ctm(1) utility has been marked as deprecated; the amdsmn(4) and amdtemp(4) drivers has been updated to attach to Ryzen 2 hostbridges; the amdtemp(4) driver temperature reporting on AMD 2990WX has been fixed; printing of 64-bit counters on 32-bit powerpc platforms has been fixed; fixes to netmap(4) support with vtnet(4); handling of allow.mount.fusefs in jailparam_init() has been fixed; miscellaneous IPv6 fixes; various other miscellaneous fixes...." See the release announcement and the (draft) release notes for further information. Quick links to download the installation DVD images for the amd64 and i386 architectures: FreeBSD-12.0-RC1-amd64-dvd1.iso (3,700MB, SHA512), FreeBSD-12.0-RC1-i386-dvd1.iso (3,190MB, SHA512). Glen Barber has announced the availability of the (originally unscheduled) fourth beta release of FreeBSD 12.0. This means that the stable 12.0 release gets another reschedule - to 11 December. From the release announcement: "The fourth beta build of the 12.0-RELEASE release cycle is now available. A summary of changes since 12.0-BETA3 includes: the number of fans supported from 8 to 12 for the powerpc architecture; a VIMAGE fix to correct carpstats; the bectl(8) utility has been added to rescue(8), as well as a fix to prevent an error when attempting to activate the currently active boot environment; the dvd1.iso pkg(8) as well as the default pkg(8) configuration file has been updated to use the quarterly package set (note to armv6, armv7 and aarch64 users - packages against the quarterly ports branch (2018Q4) are in progress, and should be complete over the next few days); the icwhd(4) driver has been updated to add TCO watchdog timer support in Lewisburg PCH (C620) chipsets; a local_unbound_tls variable has been added to the default rc.conf(5), set to "NO" by default; a fix to detect "stolen memory" not properly reserved in some Intel device BIOSes has been added; fixes to lualoader...." Download links: FreeBSD-12.0-BETA4-amd64-dvd1.iso (3,705MB, SHA512), FreeBSD-12.0-BETA4-i386-dvd1.iso (3,190MB, SHA512). Glen Barber has announced the availability of the third beta build of FreeBSD 12.0: "The third beta build of the 12.0-RELEASE release cycle is now available. A summary of changes since 12.0-BETA2 includes: SPE exception handling was implemented for the powerpcspe architecture (the powerpcspe build failed for BETA3 for reasons unrelated to source code changes and is being investigated); the localedef(1) utility was updated to add '-b' and '-l' options to specify output endianness, and now used when building share/ctypedef and share/colldef; the uplcom(4) driver has been updated to add support for formula-based arbitrary baud rates; the cxgbe(4) driver has been updated to use automatic cidx updates with ofld and ctrl queues; backwards compatibility for the geli(8) 'attach' subcommand has been added, allowing older geli(8) binaries to attach newer geli(4)-backed devices; the timezone database files have been updated to version 2018g; Bhyve has been updated to allow the VNC server to listen for incoming IPv6 connections; various fixes and updates to lualoader...." Read the release announcement for more information. Download: FreeBSD-12.0-BETA3-amd64-dvd1.iso (3,705MB, SHA512), FreeBSD-12.0-BETA3-i386-dvd1.iso (3,192MB, SHA512). The FreeBSD project is making progress toward releasing FreeBSD 12.0. The developers have released a new development snapshot, FreeBSD 12.0-BETA2, which removes some debugging options, updates the time zone database, and improves the Linux compatibility layer. "The ability to prevent interrupting the boot process without entering the password in loader.conf(5) had been fixed. Several drivers originally targeted for removal in 12.0-RELEASE had been removed from the GENERIC kernel configuration on amd64 and i386. An off-by-one error that could lead to a system panic with the sound(4) driver had been fixed. The mlx5(4) driver had been updated to notify when a port on ConnectX-6 network cards had been turned off due to insufficient power. The filter_reloc() function in objcopy(1) had been restored, which fixes building GCC. The shared library version of OpenSSL in the base system had been increased from '9' to '111' in order to prevent shared library version collisions with OpenSSL installed via pkg(8) or the Ports Collection. 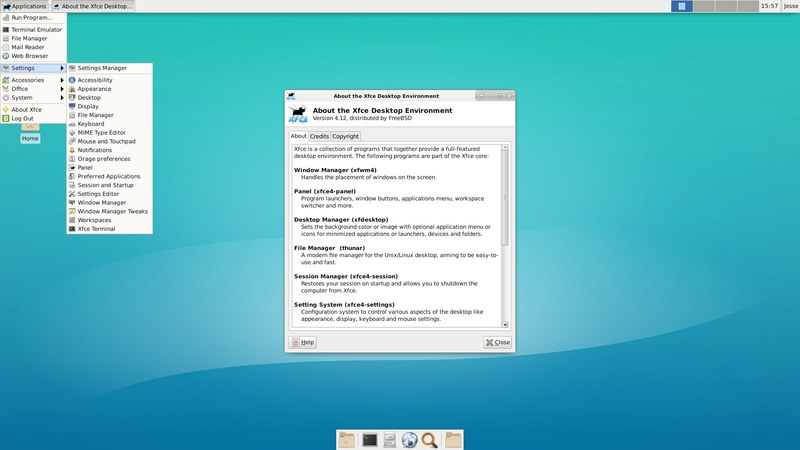 Updates to the Linux compatibility layer." Further details can be found in the project's release announcement. Download: FreeBSD-12.0-BETA2-amd64-disc1.iso (849MB, SHA512), FreeBSD-12.0-BETA2-i386-disc1.iso (721MB, SHA512). Following ten alpha releases and several schedule adjustments, the development process of FreeBSD 12.0 is back on track with the arrival of the first beta build. The supported architectures include amd64, i386, aarch64, armv6, armv7, powerpc, powerpc64, powerpcspe and sparc64. Documentation, such release notes or changelogs for the new release, are largely non-existent at this time, but the release announcement provides some information for beta testers, including a note about bug reporting: "If you notice problems you can report them through the Bugzilla PR system or on the -current mailing list. If you would like to use SVN to do a source based update of an existing system, use the "stable/12" branch. Please note, the release notes page is not yet complete, and will be updated on an ongoing basis as the 12.0-RELEASE cycle progresses." One known issue affecting those who'd like to upgrade from FreeBSD 11 is also mentioned: "Please note, freebsd-update(8) binary upgrade bits are still in progress and not yet available. A follow-up to this email will be sent when they are available." Installation ISO images and virtual machine disk images are available for download from FreeBSD mirrors; here are two quick links to the amd64 and i386 installation DVDs: FreeBSD-12.0-BETA1-amd64-dvd1.iso (1,869MB, SHA512), FreeBSD-12.0-BETA1-i386-dvd1.iso (1,339MB, SHA512). The final release of FreeBSD 12.0 is scheduled for 4 December 2018. The FreeBSD team has announced an update for the operating system's 11.x series. The new version, FreeBSD 11.2, introduces updates to OpenSSL and OpenSSH in the base system, includes version 6 of the Clang compiler and makes new versions of KDE4 and GNOME Shell available through the project's ports tree. "The FreeBSD Release Engineering Team is pleased to announce the availability of FreeBSD 11.2-RELEASE. This is the third release of the stable/11 branch. Some of the highlights: OpenSSH has been updated to version 7.5p1. OpenSSL has been updated to version 1.0.2o. The clang, llvm, lldb and compiler-rt utilities have been updated to version 6.0.0. The libarchive(3) library has been updated to version 3.3.2. The libxo(3) library has been updated to version 0.9.0. Device driver updates to cxgbe(4), ixl(4), and ng_pppoe(4), and the new mlx5io(4), ocs_fw(4), and smartpqi(4) drivers have been added. The dwatch(1), efibootmgr(8), and etdump(1) utilities have been added. Various miscellaneous kernel, userland application, and library updates. KDE has been updated to version 4.14.3. GNOME has been updated to version 3.18.0." Further information can be found in the project's release announcement and in the release notes. Download: FreeBSD-11.2-RELEASE-amd64-dvd1.iso (3,054MB, SHA512, signature), FreeBSD-11.2-RELEASE-i386-disc1.iso (578MB, SHA512, signature).